For many years, one of Apple's biggest selling points has been the reduced risk of their Macbooks being infected by software viruses. However, after the recent Flashback Trojan managed to affect over 600,000 Macs worldwide, OS X users may have reason to worry about their computer’s security according to one expert. In an interview with the Customer Business Review, Eugene Kaspersky said that he believes Apple is ten years behind Microsoft when it comes to security. 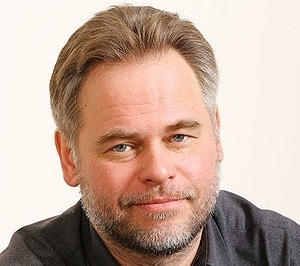 Speaking at Info Security 2012, the Kaspersky Lab CEO and co-founder stated that his company has been seeing an increasing amount of malware aimed at Macs and that it was "just a question of time and market share” since "it's always been possible to develop Mac malware". Kaspersky also believes that Apple hasn’t fully grasped the nature of the threat, but “they will have to make changes in terms of the cycle of updates and so on and will be forced to invest more into their security audits for the software". While Kaspersky’s claims could simply be put off as an attempt to increase anti-virus sales, the success of the Flashback trojan could be an indicator of worse things to come. Hopefully, that isn’t the case, but Apple may have to pay more attention to security vulnerabilities in order to prevent future occurrences.